Folsom Funeral Service » Anthony, Germaine L.
Germaine Lucille (Sands) Anthony, of Dedham, died Sunday, April 14, 2019 at the Meadow Green Nursing Center in Waltham. She was 88. Germaine was born August 19, 1930 in Chicago, Illinois, a daughter of Francis B. and Germaine (St Cyr) Sands. 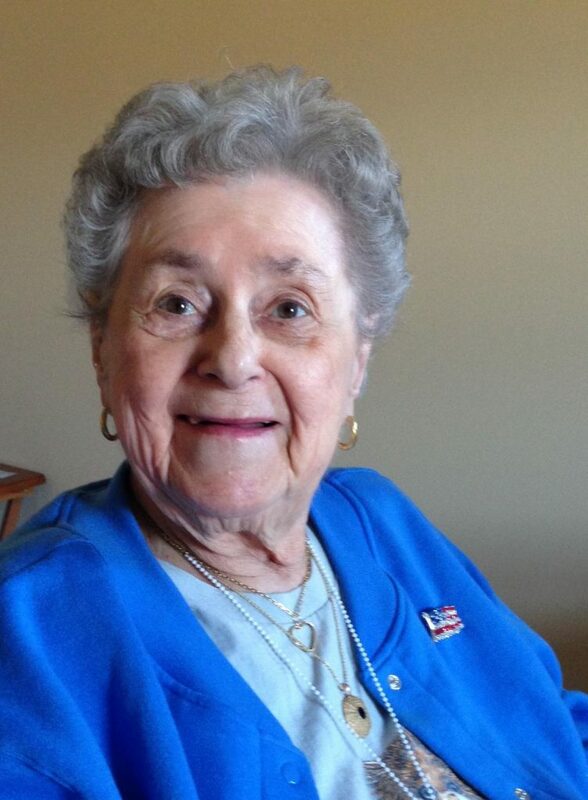 She worked as a clerk at Baybank and at Rustcraft Greeting Cards, both in Dedham. Germaine was the wife of the late John Henry Anthony and the sister of the late Louise Zantuhos, and is survived by her two sons, Steven Wayne Anthony, and his wife Anne-Marie, of Waltham, and Charles Anthony of Thousand Oaks, California. She is also survived by 3 grandchildren and 5 great grandchildren. Germaine was a Past Chaplain of Dedham American Legion Post 18, a member of the 49er’s Club, and a parishioner of St. Anne’s Church in Readvile. Visiting hours will be held Thursday from 4 to 7 pm at the Folsom Funeral Home, 87 Milton Street, Dedham. Relatives and friends are invited to attend her funeral Friday at 11 am at the funeral home followed by interment in Brookdale Cemetery in Dedham. Gerry will be sorely missed, what a beautiful person…. Peg P. Margaret R. Joan R.
Dear Steven & Charlie, Our deep sympathies on the loss of your mother. We have fond memories of her and our time in Dedham. Steven – still remember you making a pillow sandwich of our young sons in between two of our couch pillows! Those were the days. May Gerry Rest In Peace.